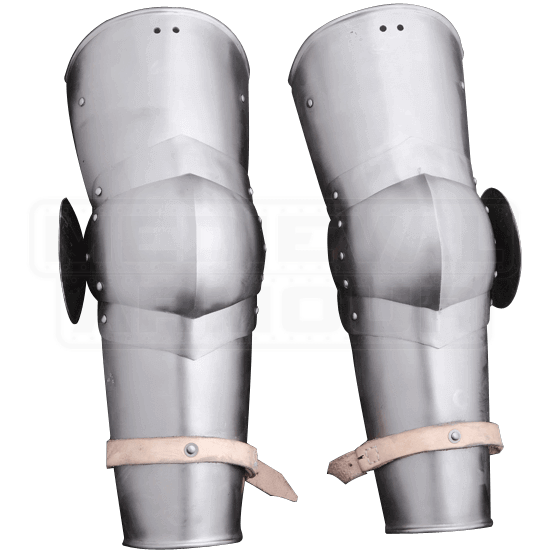 Steel arm protection like the 14th Century Full Arm Armour was used during the transitional period of armour. The half rerebrace and vambrace design of the arms is inspired by several brass gravestone reliefs from the period. The steel armour is equipped with round wings for additional coverage. It can be easily combined with chainmail and mitten gauntlets, as was typical at the beginning of the 15th century. 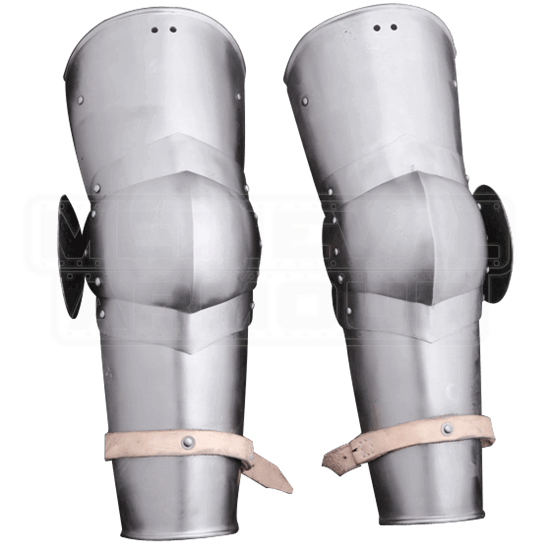 The medieval arm armour is quite versatile protection offering a wide range of outfit combinations for LARP and other historical re-enactments.